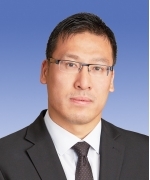 Andy Chan is a partner in the Business Law Group of Miller Thomson in Toronto and Markham. Andy Chan’s practice involves providing counsel on corporate and commercial matters with a special emphasis on mergers and acquisitions, corporate finance and strategic alliances. His areas of practice include business law and related corporate and regulatory matters as well as strategic corporate immigration. Andy Chan’s experience has involved transactions in a variety of sectors including manufacturing, transportation, healthcare, technology and insurance. Andy Chan is also active in the area of government relations, where he advises a diverse range of clients on public policy and compliance issues related to all levels of government. He has counselled clients both domestically and internationally, including foreign entities conducting or seeking to conduct business in Canada and Canadian businesses analyzing their options for access to the global markets. Having practised exclusively as a corporate and commercial litigator, Andy Chan is able to leverage his knowledge of the adversarial process to accurately anticipate and respond to even the most sensitive of commercial situations. Andy Chan’s experience before all levels of Courts in Ontario, as well as numerous federal and provincial tribunals, allows him to assist clients navigate a variety of strategic challenges in harmony with their overall business objectives.